The state’s popular Property Tax Rent Rebate program offers financial assistance to Pennsylvanians age 65 and older; widows and widowers age 50 and older; and people with disabilities age 18 and older. Over the next several weeks, my staff will host several events to help community residents complete applications to receive rebates on property taxes or rent paid in 2017. March 15 from 1-4 p.m. at Canon Apartments for the Elderly, 1 West College Street. March 21 from 1-4 p.m. at Canon House, 121 North Central Avenue. March 23 from 9:30 a.m. – 12:30 p.m. at Canon House, 121 North Central Avenue. March 28 from 1-4 p.m. at Canon House, 121 North Central Avenue. If you are unable to attend these events, feel free to contact one of my district offices for assistance. Forms and other information are also available online at www.revenue.pa.gov. 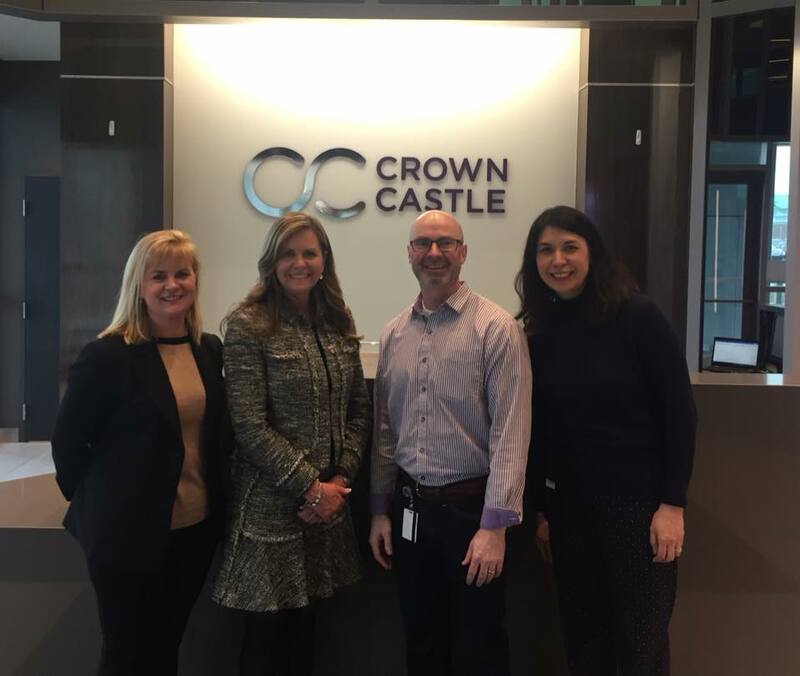 I appreciated the chance to tour Crown Castle Communications, a communications infrastructure company that employs over 1,100 people in Pennsylvania and 5000 across the country, in order to learn more about their business. We also discussed Crown Castle’s efforts to build a positive relationships in the communities where they operate and ways to continue to work together to support their efforts to deploy critical communications infrastructure around the 46th District and across the Commonwealth. Also pictured: Crown Castle employees, Renee Morales, Brian Cabe, and Karmen Rajamani. The process of reviewing Governor Wolf’s proposed 2018-2019 state budget is underway with the Senate Appropriations Committee holding three weeks of public hearings on the spending plan. The hearings, which are scheduled to run through March 8, allow lawmakers to question members of the Wolf Administration regarding the operation, cost and performance of state programs and services, as well as the potential impact of the governor’s new spending and tax proposals. Full coverage of the hearings, including photos, video and testimony, is available online at www.pasenategop.com. Community residents who are interested in applying for Duquesne Light’s Electrical Distribution Technology training program must submit an application by April 30. The program, which is offered in partnership with the Community College of Allegheny County, helps train participants for skilled labor positions, such as lineworkers and underground splicers. More information on the program is available at www.duquesnelight.com/careers. My thanks goes out to the members of the Waynesburg Rotary Club at the Community Foundation of Greene County for inviting me to speak this week. 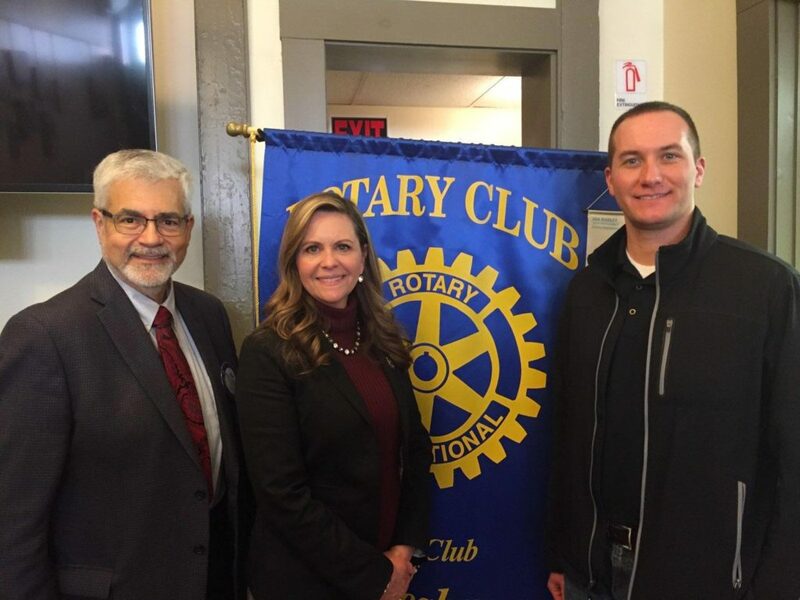 Pictured with Mike Milinovich, President of the Waynesburg Rotary Club, and Casey Durdines, Rotary member. House Bill 1175 (Act 2), which improves government transparency and strengthens penalties for violations of lobbyist disclosure laws. House Bill 359 (Act 3), which allows hunters to self-report and surrender an animal they mistakenly took in order to avoid a license revocation. House Bill 1653 (Act 5), which would make students enrolled in distance or online education programs eligible for state grants. Senate Bill 542 (Act 8), which would allow pharmacists to dispense emergency prescription refills for up to 30 days, pursuant to certain restrictions. The Pennsylvania Fish and Boat Commission recently announced its 2018 trout stocking schedule for all Pennsylvania waterways. The Pennsylvania Fish and Boat Commission plans to stock approximately 3.2 million trout throughout the Commonwealth this year.